Enjoy fantastic accommodations at one of our highly recommended local establishments. Ask about our special $100 gift card towards your stay! 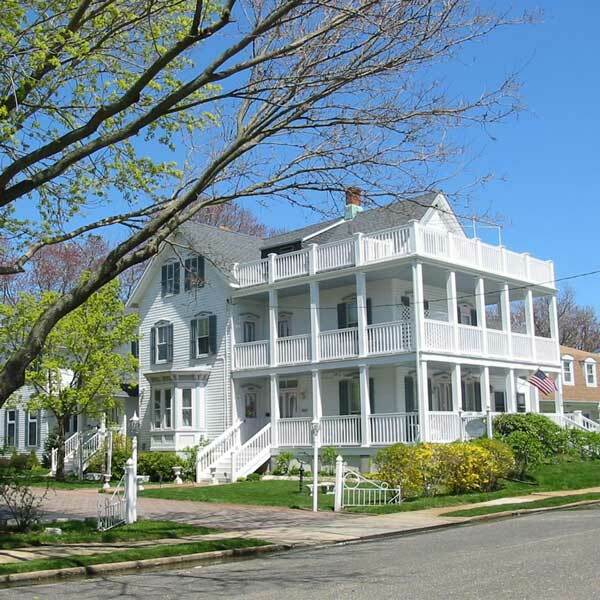 There are numerous great places to stay in Spring Lake, New Jersey. And we are excited to recommend the establishments listed on this page as they have always provided our guests with a great place to spend their first few nights as a married couple. And if you stay for a minimum of two nights, we’ll give you a $100 gift card to help with the cost of your accommodations. The Chateau Inn & Suites, situated on the Jersey Shore in the seaside village of Spring Lake, welcomes you to a truly unique hotel experience. As a resort destination for leisure guests, families and business travelers, you can choose from an array of accommodations and packages to fit your personal style. Midweek getaways, weekend escapes, bed and breakfast plans, wedding and spa specials, and romantic rendezvous are available year round. Located just one block from the ocean, The Beacon House offers an ambiance which is uniquely its own. 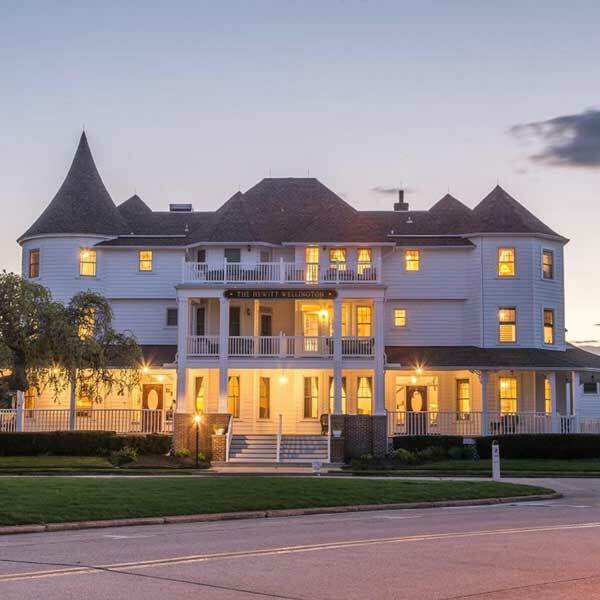 For more than a century, people have made The Beacon House their choice for a relaxing getaway. Your innkeeper, Candace Kadimik, attributes the appeal of The Beacon House to a multitude of features. Built in the classic style of a grand Victorian seaside inn, The Beacon House dates from 1879. 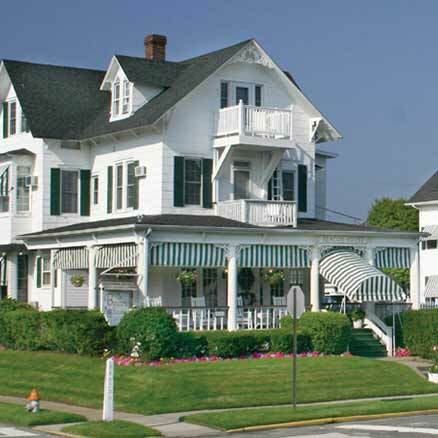 The Grand Victorian Hotel is a beachfront property on one of New Jersey’s most pristine beaches. 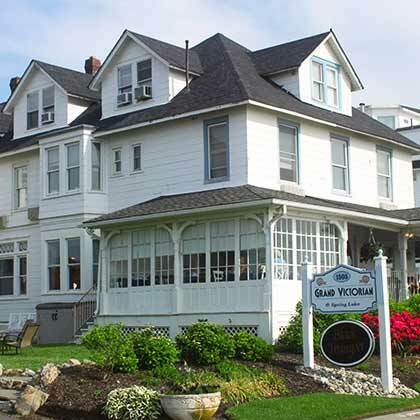 Open year-round, the Grand Victorian is always a welcoming oasis where guests can rest, relax, and enjoy the best of the Jersey Shore! The 22 room hotel boasts spectacular views in clean, quaint rooms. 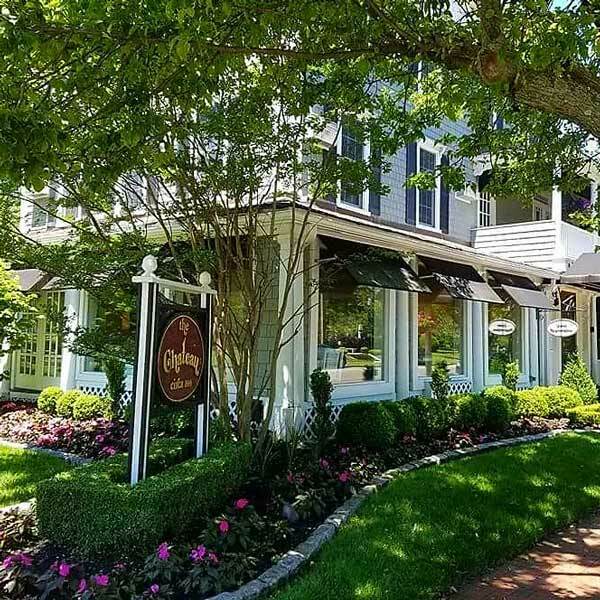 Located in the middle of Spring Lake’s two mile boardwalk and a mere three block walk away to 3rd Ave, our downtown shopping district. Circa 1880, The White Lilac looks like a sweeping Southern home with wide wraparound private and semi-private porches decorating its three stories. Inside, the Victorian decor contains period furnishings, antiques, double whirlpool tubs, fireplaces, air conditioning in every room and queen beds. Breakfast is served fireside on intimate tables for two in the Garden Room and on the enclosed porch. The ocean is less than five blocks from the inn.